Every week, a DIY expert spares us a trip to the grocery store and shows us how to make small batches of great foods at home. This week Rachel Saunders, of Blue Chair Fruit, shows us how to make Valencia Orange Marmalade. 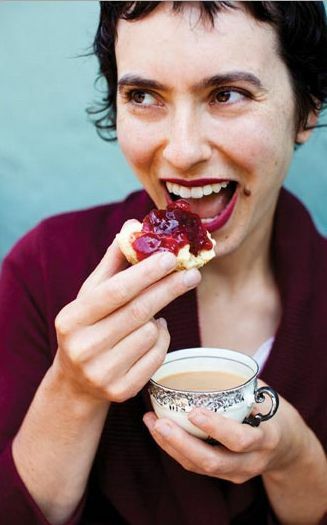 Rachel is the author of The Blue Chair Jam Cookbook. For me, April is the dividing line between winter and spring, and its arrival heralds the end of citrus season. Because I own a jam company, fruit defines my relationship to the seasons. Winter fruits wane by mid-April, while summer fruits have barely just begun to appear. But this doesn’t prevent me from making some of my favorite preserves in April; it is in April that some of the most delicious citrus fruits are in season. 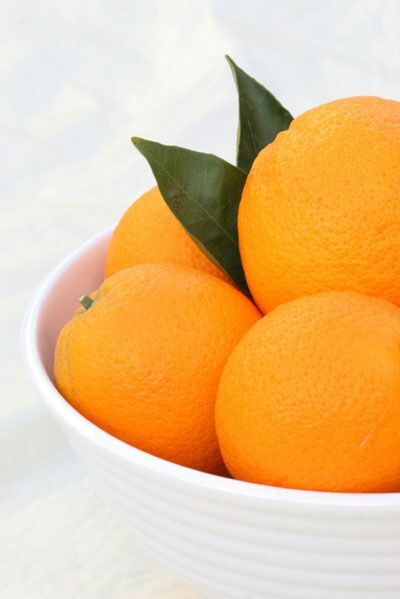 We often forget that citrus fruits, like all fruits, change throughout their season. Different varieties come and go. There is a marked difference between the earliest varieties, the ones that typically show up at markets in time for Thanksgiving – satsumas and other mandarins – and the larger, more luscious fruits of early spring: pink- and red-fleshed grapefruits and Valencia oranges. These latter have been hanging on the tree, fully colored but not completely ripe, since early winter, and have by April developed a mouth-filling sweetness and rich flavor. What’s especially wonderful is that, since citrus keeps so well, these end-of-season fruits can often be paired with fruits from earlier in the season. So it is with lemons. Whenever someone asks me what marmalade is and how to make it, I tell them to start with lemons. Lemons are among the easiest fruits to work with, and everyone loves them. They also have the distinct advantage of being easy to find; although we have access to them year round, their season actually starts in January. The most common varieties – Lisbon and Eureka – can be used interchangeably in marmalades, though they have somewhat different flavors. For the marmalade below, I have combined them with Valencia oranges, whose season starts in spring. In this recipe, the tartness of the lemons tempers the natural sweetness of the oranges, playing up the natural strengths of both. They make a stunning pair. 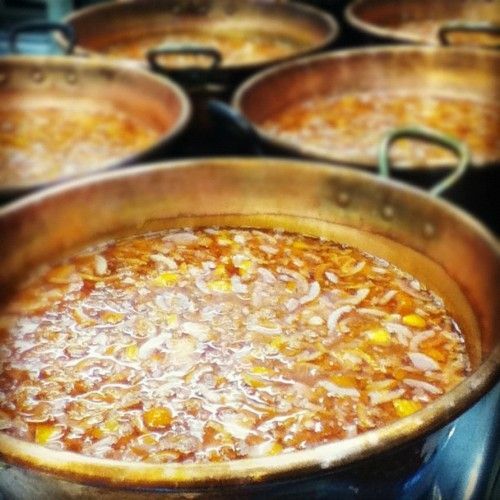 This simple marmalade follows the classic 3-day marmalade technique; each day involves a single step, and stretching the process out over three days allows the flavor and pectin in the fruit to fully spread into the water portion of the mixture. On Day 1, the fruit is soaked in water; on Day 2, it is cooked down; and on Day 3, it is combined with sugar, cooked off, and jarred. The process is easy and straightforward and the fruit rests at room temperature between each step. The result is a beautiful and delicious sweet orange marmalade, studded with bright orange slivers. Place the lemon eighths in a nonreactive saucepan where they will fit snugly in a single layer. Add enough cold water for the fruit to bob freely. Cover tightly and let rest overnight at room temperature. In a separate nonreactive saucepan, place the sliced oranges with water to reach 1 inch above the tops. Cover tightly and let rest overnight at room temperature. Prepare the cooked lemon juice: Bring the pan with the lemon eighths to a boil over high heat, then reduce the heat to medium. Cook the fruit at a lively simmer, covered, for 2 to 3 hours, or until the lemons are very soft and the liquid has become slightly syrupy. As the lemons cook, press down on them gently with a spoon every 30 minutes or so, adding a little more water if necessary. The water level should stay consistently high enough for the fruit to remain well-submerged as it cooks. When the lemons are finished cooking, strain their juice by pouring the hot fruit and liquid into a medium strainer or colander suspended over a heatproof storage container or nonreactive saucepan. Cover the entire setup well with plastic wrap and let drip overnight at room temperature. Meanwhile, prepare the orange slices: Bring the pan with them to a boil over high heat, then decrease the heat to medium and cook, covered, at a lively simmer for 30 to 40 minutes, or until the fruit is very tender. If necessary, add a little more water during the cooking; the fruit should remain submerged throughout the cooking process. When the oranges have finished cooking, remove the pan from heat, cover tightly, and let rest overnight at room temperature. Place a saucer with five metal teaspoons in a flat place in your freezer for testing the marmalade later. Remove the plastic wrap from the lemon eighths and their juice and discard the lemons. Strain the juice through a very fine mesh strainer to remove any lingering solids. In a large mixing bowl, combine the sugar, cooked lemon juice, fresh lemon juice, and orange slices and their liquid, stirring well. Transfer the mixture to an 11-quart copper preserving pan or a wide nonreactive kettle. Bring the mixture to a boil over high heat. Cook at a rapid boil until the setting point is reached; this will take a minimum of 30 minutes, but may take longer, depending on your individual stove and pan. Initially, the mixture will bubble gently for several minutes; then, as more moisture cooks out of it and its sugar concentration increases, it will begin foaming. Do not stir it at all during the initial bubbling; then, once it starts to foam, stir it gently every few minutes with a heatproof rubber spatula. As it gets close to being done, stir it slowly every minute or two to prevent burning, decreasing the heat a tiny bit if necessary. The marmalade is ready for testing when its color darkens slightly and its bubbles become very small. 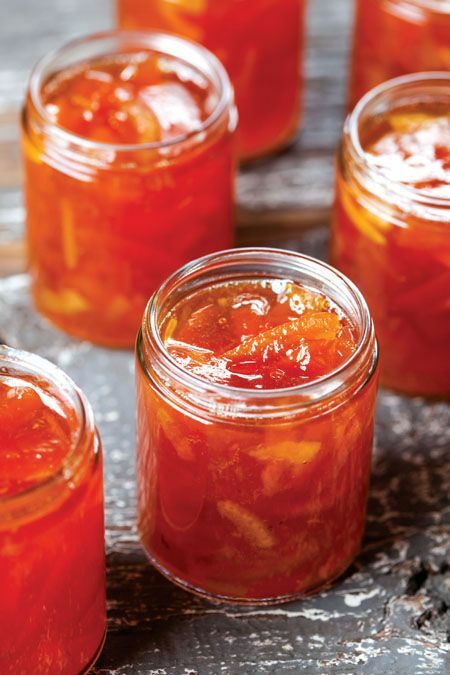 To test the marmalade for doneness, remove it from the heat and carefully transfer a small representative half-spoonful of marmalade onto one of your frozen spoons. It should look shiny, with tiny bubbles throughout. Replace the spoon in the freezer for 3 to 4 minutes, then remove and carefully feel the underside of the spoon. It should be neither warm nor cold; if still warm, return it to the freezer for a moment. Tilt the spoon vertically to see whether the marmalade runs; if it does not run, and if its top layer has thickened to a jelly consistency, it is done. If it runs, cook it for another few minutes, stirring, and test again, repeating more times if necessary. When the marmalade has finished cooking, turn off the heat but do not stir. Using a stainless steel spoon, skim off any surface foam and discard. Pour the marmalade into sterilized jars, processing according to the manufacturer's instructions or another method of your choice. Save and print the recipe here. 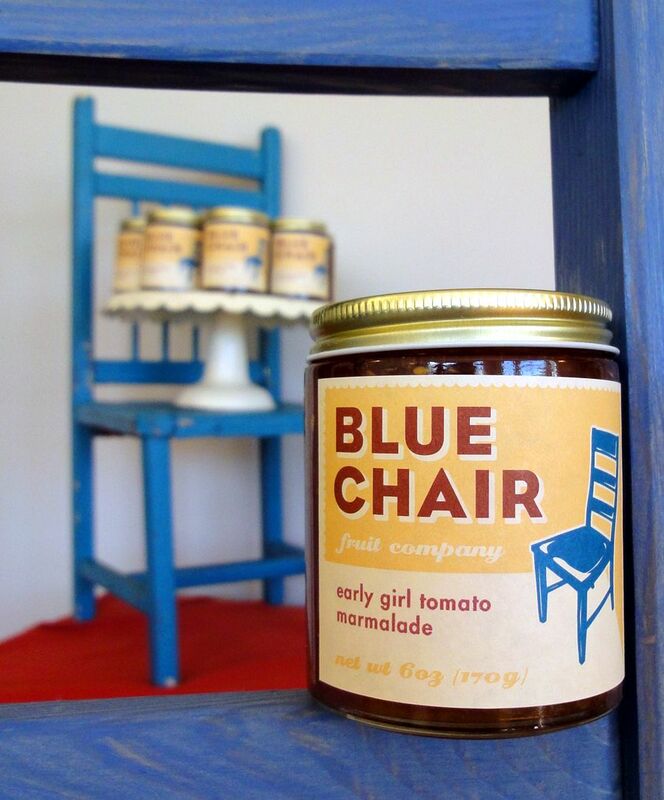 Rachel Saunders is the owner and founder of Blue Chair Fruit Company, an artisan jam company specializing in small-batch jams and marmalades made from sustainably farmed fruits of the San Francisco Bay Area. 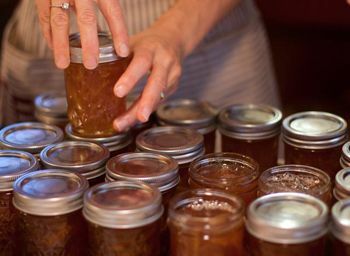 In addition to cooking and creating Blue Chair Fruit's preserves, Rachel teaches year-round jam- and marmalade-making classes both in her Oakland kitchen and nationwide. Rachel is the author of The Blue Chair Jam Cookbook, the definitive guide to jam and marmalade; she is currently working on her second book. As lovely as the photos look, the recipe was very disappointing. I'm a newbie at marmalade and I wish the recipe focused on making small slender pieces of orange rind because I have huge pieces of orange in my marmalade and it looks not so attractive. Also, it helps to say what the ideal cooking temp is to remove from the stove. I nearly burned my hand trying to get the thermometer to register the temp. This recipe was just not a good one. The taste is good but I had to add pectin to get the mix to congeal. I'll find another easier recipe. Will this scale easily? Any suggestions? I made this over the weekend and have been enjoying it ever since! Certainly the best marmalade I've tasted to date. And, it makes great gifts! Thanks for the great post! I made this over the weekend and loved it! Certainly the best marmalade I've tasted to date. Plus, it makes a great and unique gift! Thanks for the post! I'm up to my neck in home made marmalade I hope the valencia oranges don't go out of season by the time I finish my stash. I still have about 8 - 10 bottles of my cardamom/ginger flavored mayer lemon marmalade & 5 citrus marmalade from the CP testing that is gradually getting polished off in due course.. I adapted it from a recipe from epicurious.com (the ginger & cardamom were my own addition). I'll post the recipe. Marmalade is my favorite fruit. After pie. This is gorgeous. I have always wanted to make marmalade, and Rachel you make it sound pretty straightforward. I have not seen Valencia oranges at my grocery in a few weeks, so I'm wondering if Cara cara oranges would work? Could you also substitute ruby red grapefruit, or is that a whole other deal? Maybe I need to get the Blue Chair Jam Cookbook! I have and love the Blue Chair Jam book, and now I am inspired to take on the 3 day marmalade!!! !